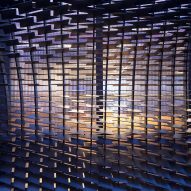 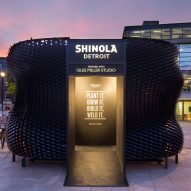 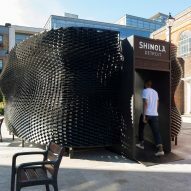 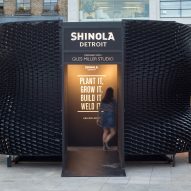 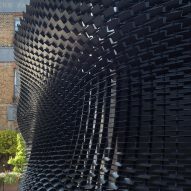 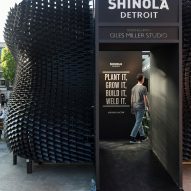 For this year's Clerkenwell Design Week, London designer Giles Miller worked with watch brand Shinola to create a pavilion made from 8,000 lightning-bolt-shaped pieces of plywood. 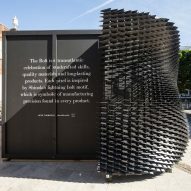 The Bolt has been erected in St John's Square for this year's Clerkenwell Design Week, which officially kicked off today. 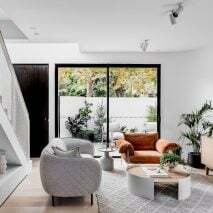 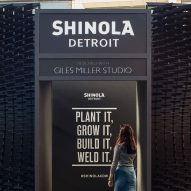 Miller's team was approached by Shinola, as the brand wanted to showcase its products to an audience in Clerkenwell, as the area has a history with artisan watchmakers. 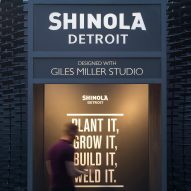 "Shinola approached us as a studio looking to collaborate with the London design and creative community, and the collaboration was forged on our mutual belief in the preservation of craft," Miller told Dezeen. 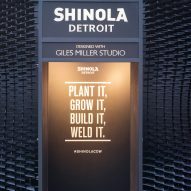 Inspired by the brand's Detroit factory, Miller based the form of the structure on piles of supple leather found in the workshops. 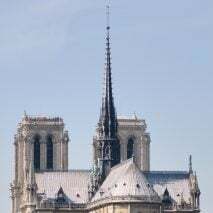 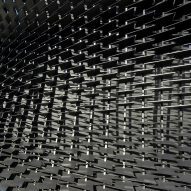 Each louvre is lightning bolt-shaped – a direct translation of the Shinola motif. 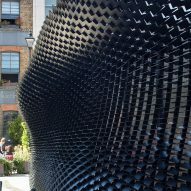 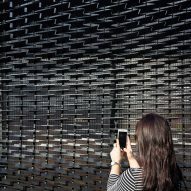 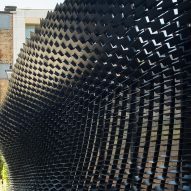 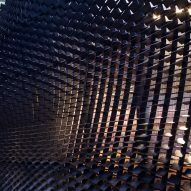 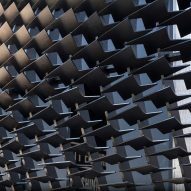 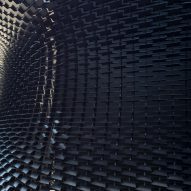 The black-painted shingles, which were each CNC-cut by Cut Online, have been placed by hand onto the structure, and are each angled specifically to control the amount of light that enters the pavilion. 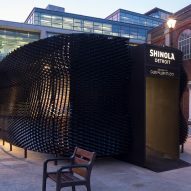 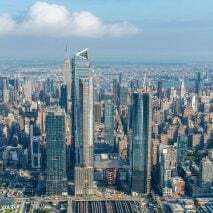 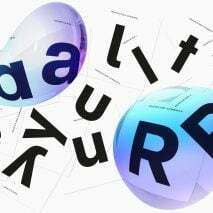 "The structure is a fusion of the character and philosophy of Shinola's factory in Detroit, with our own interest in the composition of materials and surface experimentation," said Miller. 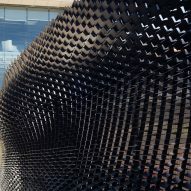 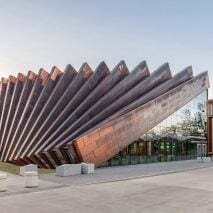 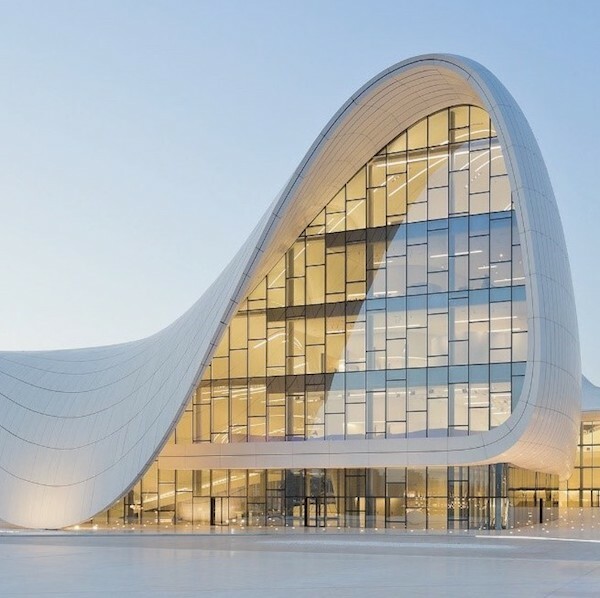 "We controlled the surface composition over the building to create a louvred facade, which controls light and vision through the surface by way of the varying angles on the 8,000 components that adorn the building." 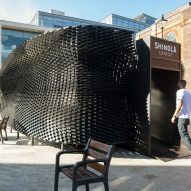 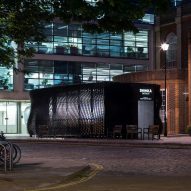 Once Clerkenwell Design Week ends the structure will be used by Shinola for presentations and exhibitions. 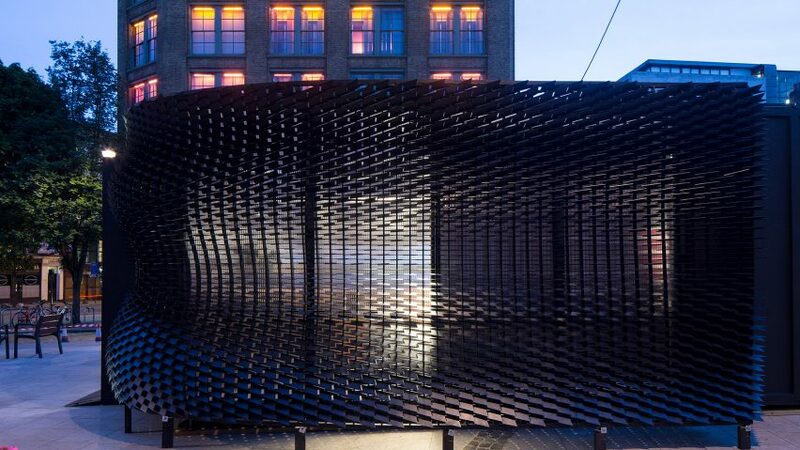 As the pavilion is lightweight, it can be easily disassembled, stored and transported. 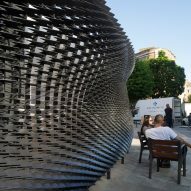 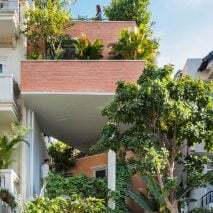 Its skeleton can also be adapted to suit different environments. 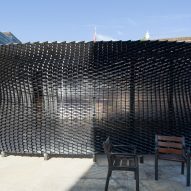 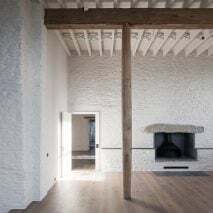 Miller often creates outdoor, site-specific projects, such as the spherical sculpture formed from hundreds of reflective "pennies" that he created for Devon's Broomhill Sculpture Park, and more recently a shingle-covered pavilion for the English countryside. 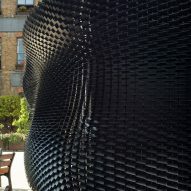 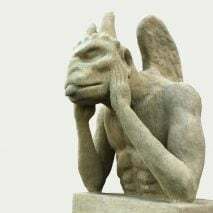 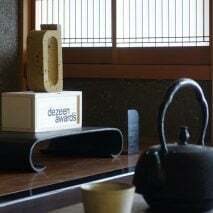 For last year's Clerkenwell Design Week, he created a series of four glass-tile sculptures to help visitors navigate their way through the exhibitions and installations. 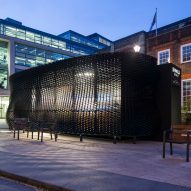 The Bolt will be open to the public for the duration of the festival, which ends on 25 May. 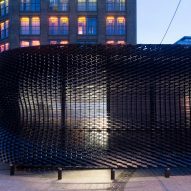 Dezeen's pick of other things to see includes an installation made from mirrors and a rainbow-hued tower. 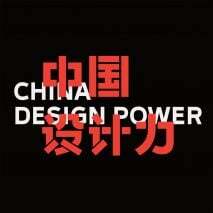 Photography is by Richard Chivers.